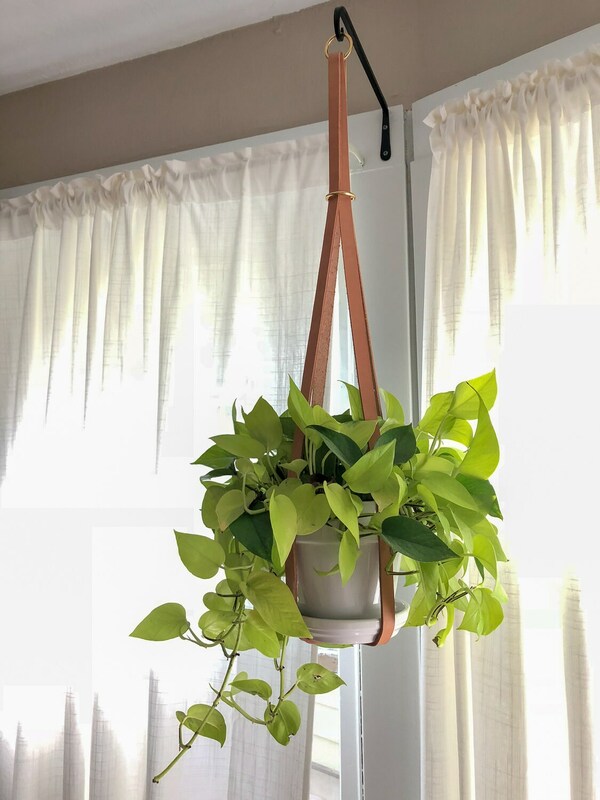 Let's face it, hanging plants are all the rage right now. And macrame has made a big comeback, but what if you want something else? 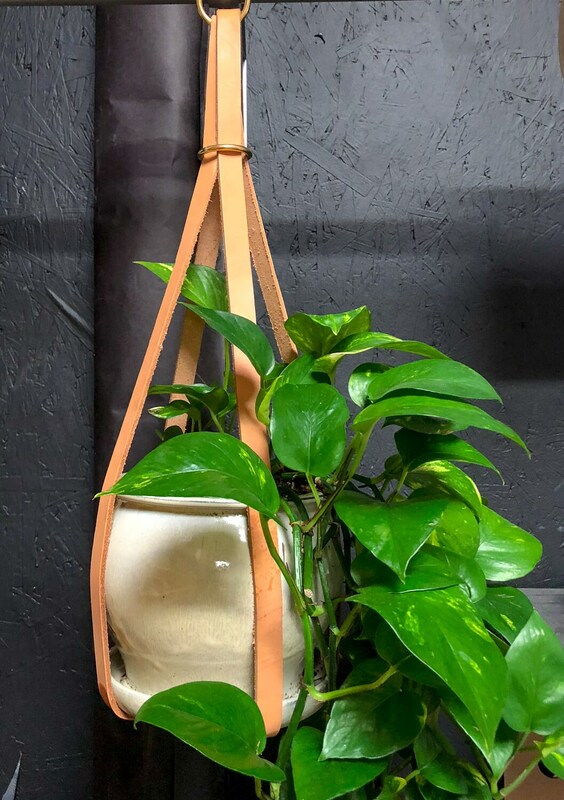 Look no further, this leather plant hanger is understated and a bit more timeless than the knotty cotton we all know and love. 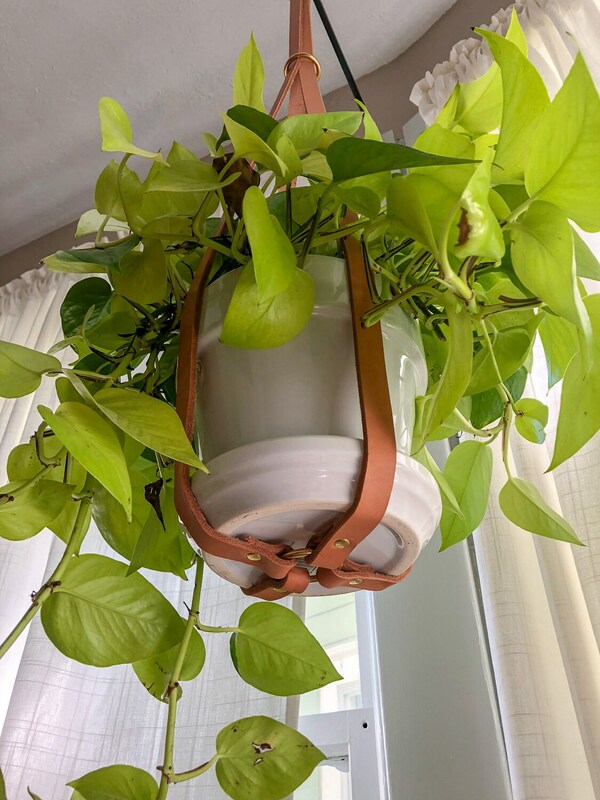 Like a well worn pair of oxford shoes, this simple leather piece can add a bit of softness to a too-formal environment, or put it in a casual environment and it will elevate the space, bring a touch of class and intention. 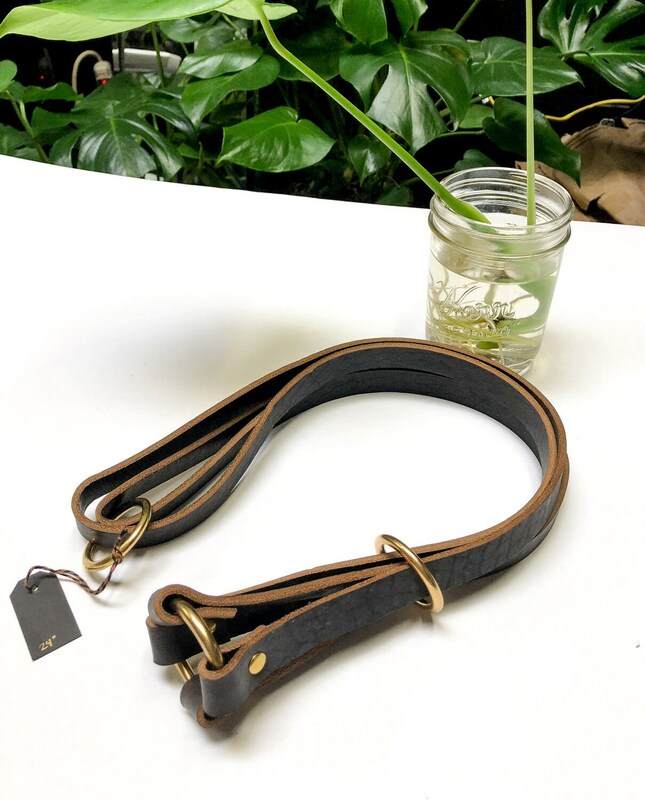 This plant hanger is made with black horween leather and has 4 straps measuring 3/4" wide. It is 24" long, perfect for low ceilings or hanging in a window. It has a brass ring at the top and bottom, and a brass sliding ring at the top.